What is this Rain word mean? Looking out the window it was raining heavily. My hammy hurt. Lacked the energy to go running. But then I thought if I take a day off the next thing I know I will be eating desert and joining the caste of The Biggest Loser! Going up the first hill I felt heavy. I have not weighed my self since the Marathon 9 days ago. I am too scared to see my current weight. Not good I suspect. Thankfully no one out in this weather to laugh at me. But coming home I actually started to feel OK. Wonky hammy stopped hurting ( actually right knee then started hurting but that does not matter). Because it’s day light savings time here in Melbourne I was not running in the dark. I do run in the rain and the dark ( who doesn’t?) but I can’t say I like it much….but on the other hand I don’t train to like it. 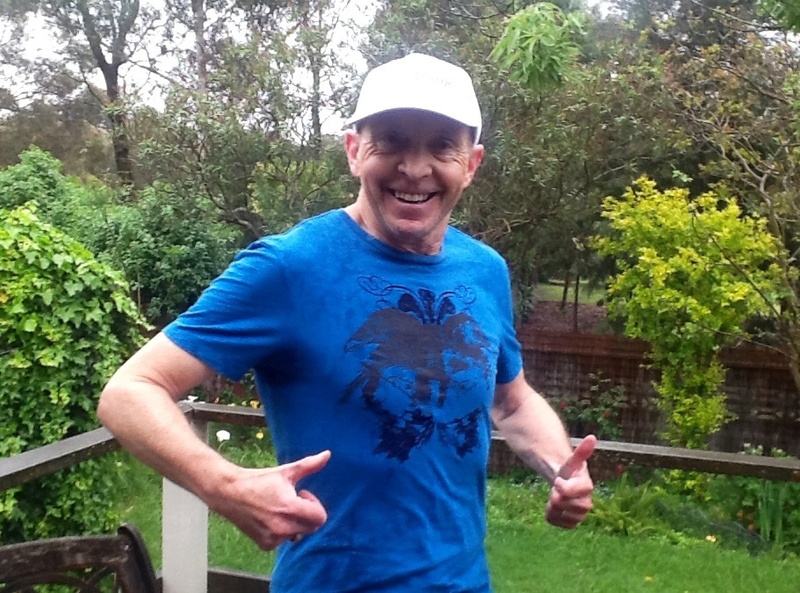 OK I know I am still a bit of a wimp….I wore a cap. But it was the free one I got from the Melbourne Marathon which was a bit heavy and uncomfortable. Not out there to be comfortable.